No. 2A, Jalan Sungai Batu 11/KU6, Kawasan Perindustrian Sungai Puloh, 42100 Klang, Selangor, Malaysia. 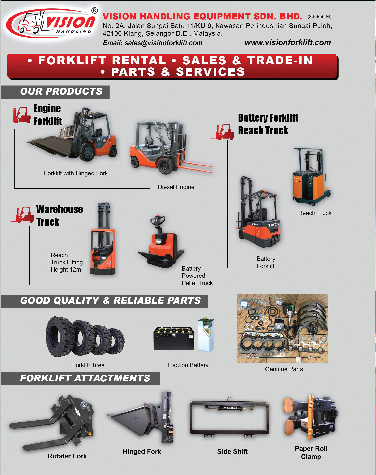 Our Company is fully committed in delivering the best Forklift Solutions and Services – Forklift Sales, Rental, Services and Parts. We always looking forward to understand customer’s needs & requirements and transform its into Creative and Cost Effective Solutions. 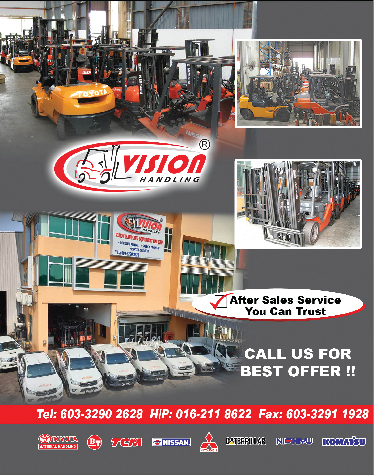 Our Company has a pool of well trained and dedicated Mechanics and Technicians that ready to handle Forklift & Reachtruck services and maintenance. Our Company strongly believes in continuous improvement and developing smart partnership with customers in Material Handling Equipment in achieving win-win condition for both parties. 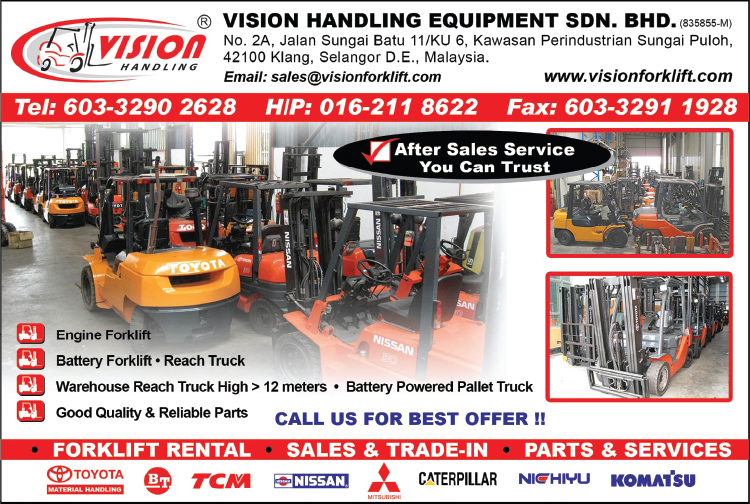 Engine Forklift, Battery Forklift, Reach trucks & Warehouse Trucks, Stackers.